Help Fund the Work Ahead! 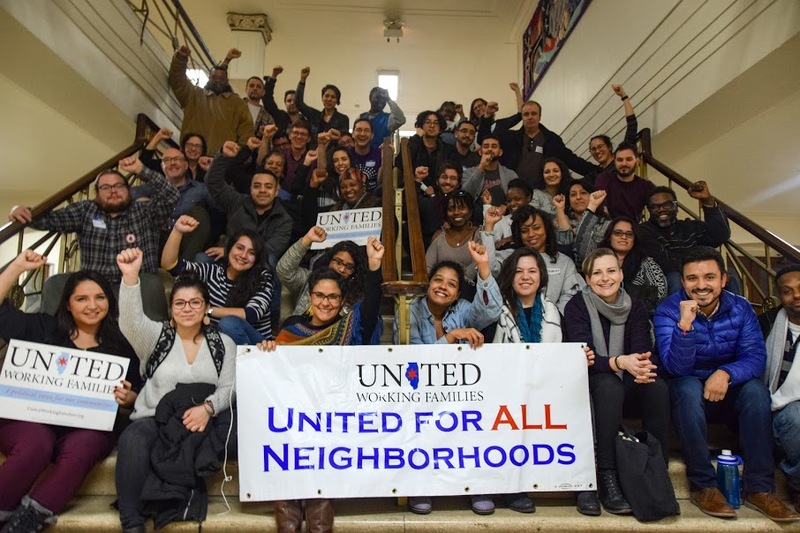 In November, United Working Families elected six Black and Latinx movement leaders across Illinois. To name just a few: Brandon Johnson, the Black teacher and union organizer who will now govern the second-largest county in the US; Delia Ramirez, the daughter of Guatemalan immigrants who will continue fighting gentrification from the statehouse; Aaron Ammons, the formerly incarcerated community activist who will work to expand the franchise as Champaign County Clerk. We're building a new generation of Black and Latinx candidates, campaigners, and organizers who are winning governing power for the movement. We focus on what lasts after the consultants leave town: The organizing conversations that win large numbers of people to the idea that political change is possible and collective action is necessary. The training and development programs that reduce our reliance on paid operatives. The bold, populist, bright line demands that direct working class anger up, not down—things like universal child care, a jobs guarantee, and housing as a human right. Help us celebrate and build on this work. Sign up today to make a donation of $25, $50, or more--and please consider making it monthly so that we can continue to grow the next generation of left political leadership. Our efforts are 100% funded by membership dues and individual contributions. We can’t do it without you!